To discover the truth about NIGHTMARE meter ‘smart’ visit the campaign Keep my meter! If Hydro-Quebec installed a smart meter outside your house, they want to make extra-sure that it’s safe and won’t blow up your house.The utility is sending its technicians to check on outdoor smart meters to ensure that they aren’t within three metres of outside propane tanks – the kind attached to your building, not attached to your barbecue.Hydro spokeswoman Nathalie Vachon says the utility is complying with a request from the Quebec building authority.“We are conducting some tests to really determine the risk of using the remote interruption and restoration function near a gas leak,” she says.While the risk of using the remote service interruption feature near a gas leak hasn’t been confirmed – and no incidents have been recorded – neither Hydro nor the building authority wants to take the chance.Hydro says all other smart meter features are entirely safe. 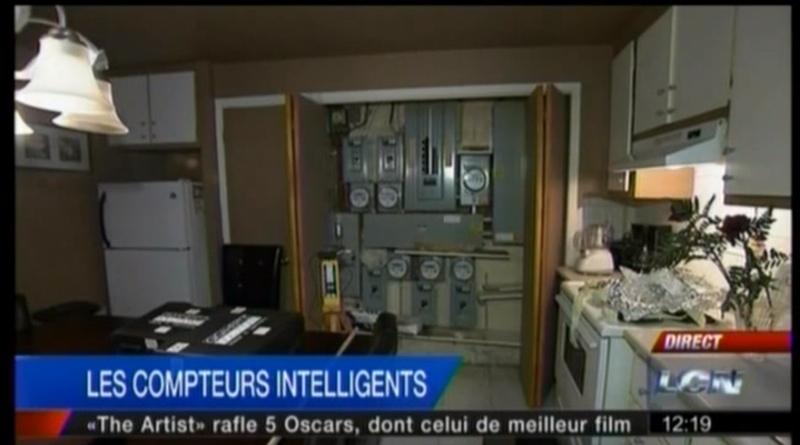 A Hydro-Quebec worker appears to have missed the memo that said the new smart meters are optional. The worker faces disciplinary measures for breaking into a home north of Montreal to install a new digital counter. Homeowner Lucie Racicot caught the installer climbing through the window of her veranda. “She had the smart meter in her hands and she was ready to change it without my permission,” Racicot told QMI Agency. “When I confronted her she said: ‘Miss, we can be bold at Hydro when we have to be. '” The worker then left through the same window. Hydro-Quebec confirmed the story to QMI Agency and has apologized to Racicot by phone and by letter. “The employee’s behaviour is completely unacceptable,” spokesman Patrice Lavoie told QMI. He insists Hydro-Quebec isn’t pressuring workers to install smart meters. Meanwhile, Racicot wants compensation and says she’s keeping her old meter at all costs. Statement of a neighbor who claims to have seen a smart meter ignite Monday, March 16 at 43 rue Saint-Louis in Salaberry-de-Valleyfield has revived the debate on the equipment installed by Hydro-Québec. Even if in the present case the cause of the fire was not related to meter, but rather to water infiltration, controversy over social networks is palpable. Moreover, many readers believe that the corporation never publicly will say only that its counters include fire hazards. Cédric Grenier is categorical in his commentary. “Mine has been on fire. I had to pull it out with a hammer. Hydro came to analyze my counter and disappeared, “said Mr. Grenier. The situation declared by the man would not be a precedent. In Quebec City, a letter was sent to all members of the General Staff of the Fire Protection Service in which the Assistant Director of Strategic and Administrative Affairs calls on the fire to ensure that the employees of Hydro-Québec not leave the premises without first met with an investigator. Michel Ménard, director of the Fire Department Salaberry-de-Valleyfield, confirms that it is not ideal that Hydro-Québec is leaving with the meter before the investigation is completed. However, according to Mr. Ménard this would never have happened in the territory of Salaberry-de-Valleyfield Quebec Hydro act this way. “I have heard that in Quebec, there disharmony. For cons, I can not move me on the record because I do not know all the details, “says Michel Ménard. 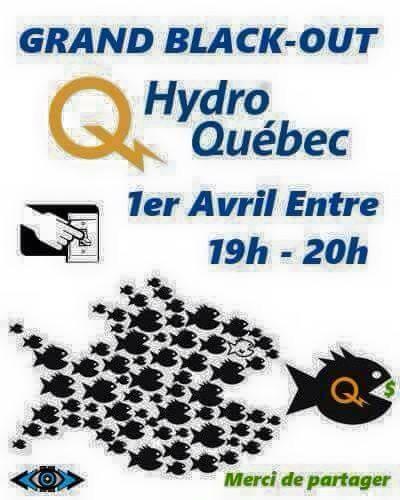 On the side of the movement “Refuse counters,” Marie-Michele Fish, spokesman says saddened the lack of transparency of Hydro-Québec in this folder. “Fires have occurred in the Montreal area, Saguenay, Quebec and Ontario. California, where we find the same counter model as that used by HQ at the moment (Landis & Gyr-Focus), many fires have occurred and there has been loss of life. There are currently criminal investigation for collusion and corruption in California and, thanks to this survey, we now discover that the leaders wanted to hide facts to the California population, “growls Mrs. Fish, adding that the disappearance of counters in a fire is common. A relatively new type of air pollution called electrosmog may be the cause of a variety of ailments, said a Quebec group dedicated to fighting air pollution. HYDRO QUÉBEC ENVISAGES TO INSTALL MORE THAN 4 MILLION METERS USING MICROWAVES. Microwaves emitted constantly 24hours a day, 7 days a week . These measurements are compared with those emitted by furnace-with-microphone-waves. Measurements: meter d’ Hydro-Quebec = more than 1500 uw/m2, that of the furnace = more 2000uw/m2*. Report/ratio BIOINITIATIVE recommends a threshold exposure maximum of 1000 uw/m2 so d’ to be protected from the harmful effects of the micro-ondes. * (density of maximum capacity which our reading device can measure. HYDRO-QUÉBEC PRÉVOIT INSTALLER PLUS DE 4 MILLIONS DE COMPTEURS UTILISANT DES MICRO-ONDES. Micro-ondes émises constamment 24h/24 et 7jrs/7. Ces mesures sont comparées à celles émises par un four-à-micro-ondes. Mesures: compteur d’Hydro-Québec = plus de 1500 uw/m2, celle du four = plus de 2000uw/m2*. Le rapport BIOINITIATIVE recommande un seuil d’exposition maximal de 1000 uw/m2 afin d’être protégé des effets néfastes des micro-ondes. *(densité de puissance maximum que peut mesurer notre appareil de lecture. Swiss-based company Landis+Gyr recently announced a deal with Hydro-Quebec, one of Canada’s largest utility providers, to deploy approximately three million smart meters by the year 2017. The contract is worth a reported $350 million, and pilot phases are expected to rollout in Montreal and other areas later this year. This April, we noted a competing $270 million contract between BC Hydro and Itron that looks to install roughly two million smart meters in Canada over the next two years. And late last year, we reported that Landis+Gyr had been contracted for a similar smart grid project in Texas, deploying meters in San Antonio. But the most recent news comes just following the announcement that Landis+Gyr, a once privately held firm, is the process of being acquired under a $2.3 billion deal with technology giant Toshiba. No word on if that acquisition had any affect on the contract with Hydro-Quebec. Installation of the smart meters will allow the utility provider to collect usage, voltage, and power quality data from ratepayers, and the company claims consumers will be able to see real-time information about the electricity they purchase as well, someday. Part of the agreement calls for Landis+Gyr to build what they’re calling a “center of excellence” that will house calibration, inspection, meter assembly, and network management tools, among other things. The opening date for the center was not listed, but according to the release, the facility may employ up to seventy-five local, new workers. 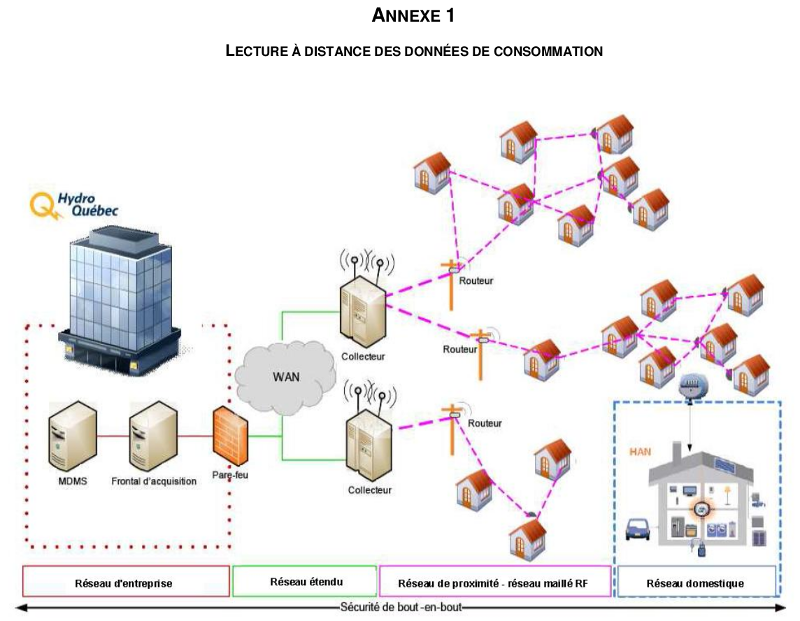 January 30, 2009 – The advanced water metering and monitoring solution, Water SaveSource, has been selected for the City of Montreal’s water meter automation project. Considered one of the largest projects in the city’s history, Water SaveSource from Itron will allow the city to accurately measure water consumption, better track and manage usage, and optimize efforts to reduce system leaks and upgrade infrastructure. Phase one of the project entails deploying Water SaveSource to over 23,000 customers on the Island of Montreal, as well as replacing 7,000 existing meters between now and 2013. The technology will help control the flow of water by influencing consumption, and manage the delivery of water by maintaining distribution system integrity, thereby improving customer service and operations. When the project is complete, the Island of Montreal will have complete network coverage, enabling a comprehensive water management program. The project is being carried out by Consortium Genieau, which is tasked with collecting hourly data with a 90 percent hourly read rate by 6:00 a.m. If the monthly read rate falls below 85 percent, the consortium cannot collect its monthly fee. “For us, it was all about reliability. We needed to choose a technology that ensured we could meet necessary read rate requirements,” said Daniel Nadeau, Genieau project manager. The Water SaveSource Fixed Network is based on a family of Itron technologies, including the Water SaveSource Collector, Water SaveSource Programmer and Itron Enterprise Edition Custom Analytics. Old Hydro-Québec meters will be phased out by 2017. MONTREAL – Hydro-Québec is moving into the digital age with a plan to deploy about 3.8 million “smart” meters across the province by 2017. 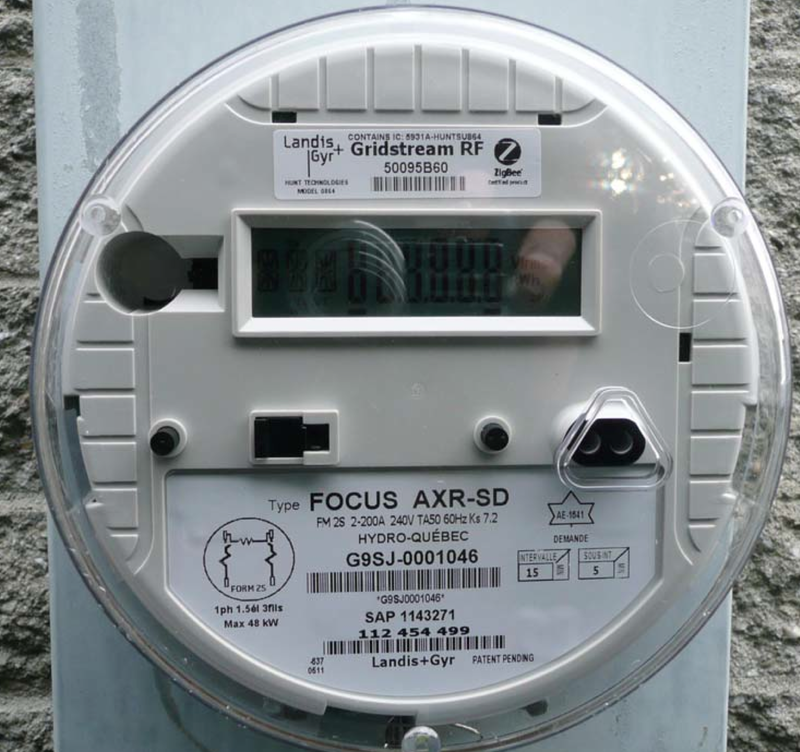 The utility announced Wednesday a $350-million deal with global giant Landis+Gyr for the acquisition of an advanced metering infrastructure (AMI) and about 3 million next-generation meters. It’s the largest smart-meter deployment in Canada and one of the biggest in North America. The new meters will replace electro-magnetic meters in every household, business and industry in the province. Once the network is up and running, customers will no longer have to telephone the utility to alert it to a power outage. The “smart” gear will already have alerted system operators. And human meter-readers will become an oddity of the past as remote reading of meters will provide “accurate consumption” and billing information, the utility said. “This advanced metering infrastructure will reduce our operating costs and thus benefit all our customers, while making it possible to gradually introduce new functions in response to their needs,” Isabelle Courville, president of Hydro-Québec Distribution, said Wednesday. Will the cost be passed on to consumers? “The answer to that is clearly, No,” Courville told reporters. Her division has already allocated $10 million a year to replace aging meters. That annual budget will be used in the deployment of the new meters. 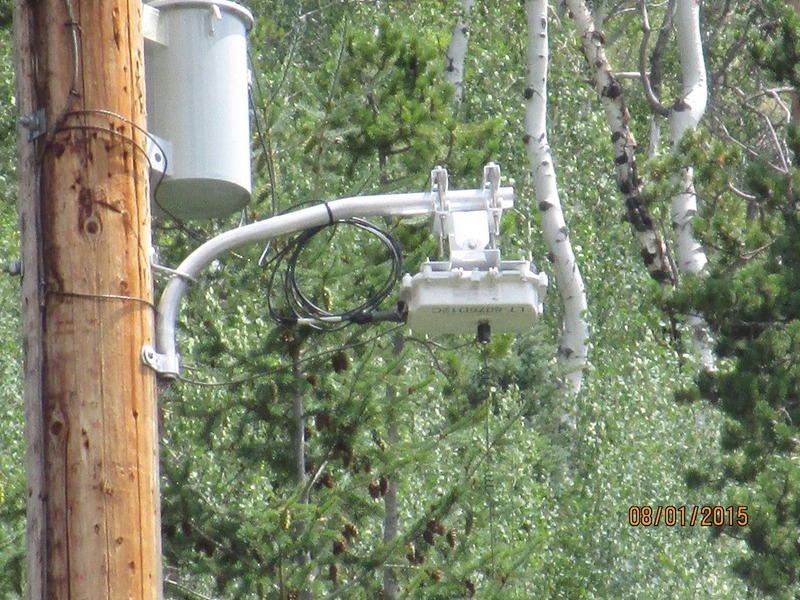 Setting up the advanced metering infrastructure (AMI) will cost an initial $98 million. But over 20 years, the interactive and intelligent system will provide savings of $300 million, Courville said. In other jurisdictions, the introduction of smart meters and an interactive distribution system has gone hand-in-hand with the introduction of a varied rate structure, time-of-use pricing to encourage clients to minimize consumption during peak periods. There are no plans to implement time-of-use pricing in Quebec “at the moment” and certainly not before smart meters are fully deployed, Courville said. But the implementation of a smart grid sets the stage for such upscale functions. Hydro-Québec will be running three pilot projects between June 2011 and May 2012, before rolling out the new meters throughout the province. The pilot projects will run in Boucherville – 6,000 meters – and in Montreal’s Villeray district – 19,000 meters – and in the regional county municipality of Memphrémagog, where 2,000 meters will be installed. Hydro-Québec plans to install meters throughout the province as of 2012, starting in the greater Montréal area. The rollout in the rest of the province will continue until 2017. Hydro-Québec selected Landis+Gyr through an open request for proposals. “The globally recognized firm Landis+Gyr will provide a comprehensive end-to-end solution, thus guaranteeing the integrity of the entire metering system,” Courville said. One condition embedded in the contract is creation of local jobs by Landis+Gyr. The privately held company, whose North American assembly plant is in Mexico, will create “ a centre of excellence” in Montreal. The centre will employ up to 75 people, but its staff could reach up to 200 if contracts are signed with other Canadian utilities, Landis+Gyr North American CEO Richard Mora told reporters. The deployment of smart meters will lead to the elimination of 725 positions at Hydro-Québec, mostly meter readers. The permanent staff, who aren’t slated to retire, will be assigned to other jobs, the utility said. Worldwide, more than a hundred public utilities are in various stages of advanced metering infrastructure implementation. Among the jurisdictions in Canada with AMI is Ontario, which also has time-of-use pricing in place in some areas. The scalable AMI technological platform will support a range of new functions, including outage detection, personal energy management, demand-side management, as well as remote service restoration and interruption and handling of electricity theft, the utility said. Hydro-Québec will file its application for the smart-grid venture with Quebec’s energy board shortly, the utility said. Ericsson will be the prime integrator and project manager for the Meter Data Management System (MDMS) solution. — Remote meter readings of smart meters and MDMS solutions allow utilities to more effectively manage the measurement process. — For the data management system, Ericsson has chosen EnergyICT and will use its EIServer software. Ericsson (NASDAQ: ERIC) was selected as the prime integrator for the first phase of Hydro-Québec smart metering pilot project, following a rigorous evaluation and selection process. Hydro-Québec, one of the largest electric utilities in North America, issued a request for proposal in February for the acquisition and installation of a MDMS solution in preparation for activities related to the remote meter reading project. As part of this project, Ericsson will be responsible for implementation and integration of EnergyICT’s Meter Data Management System, which will pull data from the meters and integrate it with back-end office systems. A pilot project will be deployed initially, in order to obtain the authorization for the broad deployment of smart meters, slated to begin early 2012. Hydro-Québec will draw on Ericsson’s global experience in smart meter projects and from its personnel at its R&D and Services Centre in Montreal to gain the most value from the new system. “Ericsson is delighted to have been selected for this important project and continue its long tradition of project implementation with Hydro-Québec” said Mike Sisto, Ericsson’s Vice-President Sales – Eastern Canada. “By providing utilities with up-to-the-minute data streams, smart metering systems can significantly improve operational efficiency.” ERICSSON Ericsson is the world’s leading provider of technology and services to telecom operators. Ericsson is the leader in 2G, 3G and 4G mobile technologies, and provides support for networks with over 2 billion subscribers and has the leading position in managed services. The company’s portfolio comprises mobile and fixed network infrastructure, telecom services, software, broadband and multimedia solutions for operators, enterprises and the media industry. The Sony Ericsson and ST-Ericsson joint ventures provide consumers with feature-rich personal mobile devices. Ericsson is advancing its vision of being the “prime driver in an all-communicating world” through innovation, technology, and sustainable business solutions. Working in 175 countries, more than 80,000 employees generated revenue of SEK 206.5 billion (USD 27.1 billion) in 2009. Founded in 1876 with the headquarters in Stockholm, Sweden, Ericsson is listed on OMX NASDAQ, Stockholm and NASDAQ New York. Hydro Quebec is backing away from a major government initiative that would have reduced electricity consumption in the province, CBC News has learned. The conservation plan — which hinged on smart meters to cut peak period hydro consumption — is too costly to deliver real savings, according to the Quebec power corporation. The smart meters, already common in Ontario, allow consumers to save money by monitoring their usage and consuming the bulk of their power at night when rates are lower, rather than during peak periods in the morning and evening. But they are expensive to install in residences and that cost would inevitably be offset by raising electricity prices, said Hydro Quebec distribution president André Boulanger. The Quebec Liberal government first floated the idea of smart meters in 2006 when it unveiled a nine-year, multi-billion energy strategy that included plans to increase electricity production and cut down on consumption. At the time, Premier Jean Charest said Quebec homes would be equipped with smart meters by 2009 to encourage people to use energy more efficiently. Quebecers are among the biggest hydro consumers in Canada, a habit that needs to change, according the premier. “The golden rule about energy and the environment [is] it’s the energy you do not consume that is the best investment you can make,” he recently said. Hydro Quebec is still open to a pilot project testing smart meters, but is not prepared to introduce them on a wider scale, Boulanger said. In Ontario, the province’s power utility has installed more than 200,000 smart meters in recent years after a successful pilot project spearheaded by Ottawa’s municipal utility. The Hydro Ottawa Smart Price Pilot results revealed that, with conservation considered, “93 per cent of customers paid less than they would have under regular rates,” said Hydro One spokesman Dave Watts. Lower energy use during peak times means less need for new generating stations, he said. 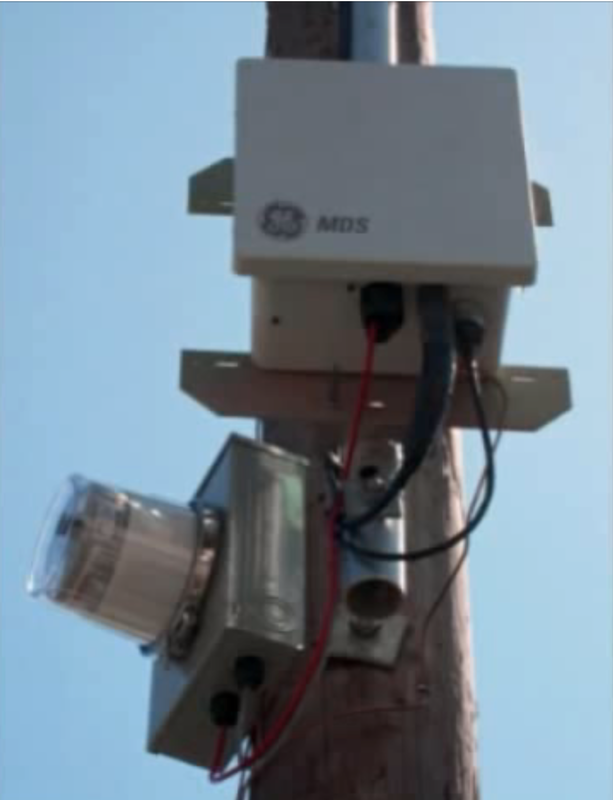 Rogers combines a wireless network with an exclusive M2M deployment platform. In addition, Rogers integrates hardware from partners to wirelessly enable M2M solutions. To service Hydro Quebec, Rogers will team with Xplornet Communications Inc. to ensure satellite connectivity in remote parts of Quebec. Rogers Communications is Canada’s largest provider of wireless voice and data communications services and one of Canada’s leading providers of cable television, high-speed Internet and telephony services. For more information on M2M solutions, visit www.rogers.com/M2M. Isabelle Courville, President, Hydro-Québec Distribution and Richard Mora, Chief Executive Officer, North America, Landis+Gyr at a press conference in Montreal Wednesday where it was announced that Hydro-Quebec signed a contract with Landis+Gyr to acquire an advanced metering infrastructure and 3 million ‘next generation’ meters. MONTREAL- Nothing good can come of Hydro-Québec’s plan to replace electro-magnetic meters with digital “smart” meters, according to a union representing utility employees. In May, Hydro-Québec unveiled the first details of its plan to deploy about 3.8 million next-generation meters across the province by 2017. Hydro-Québec wants to “spend a billion dollars unnecessarily in a project of questionable profitability while causing the loss of 1,000 or more jobs in Quebec,” said Ginnette Paul, president of the Canadian Union of Public Employees local representing the utility’s professional, technical and office workers. “This is a project that will waste equipment still in working order, which provides no additional benefit for customers and will probably push up the electricity bill,” she told reporters Tuesday. CUPE Local 2000 – also known as SCFP Locale 2000 – will ask Quebec’s energy board to hold public hearings on the issue. The union’s assessment stands in stark contrast to the consumer-friendly program unveiled by Hydro-Québec officials in May and detailed in the utility’s recent submission to the Régie de l’énergie. Initial investments are required, notably $88 million for the underlying information technology to support the interactive system. But over 20 years, the new system will generate almost $300 million in savings, largely through lower operating costs, the utility contends. System costs will not be passed on to consumers through rate hikes, the president of Hydro-Québec Distribution, Isabelle Courville, said in May when global giant Landis+Gyr was tagged as the supplier in a $350-million deal for an advanced metering infrastructure and almost 3 million of the new meters. Although it will be the largest smart-meter deployment in Canada and one of the biggest in North America, it won’t be the first. Ontario is among the jurisdictions that has taken that route. Hydro-Québec’s move to smart meters will lead to the elimination of about 726 positions at the utility, mostly meter readers, the utility says. About 32 per cent of the employees will be eligible for retirement while the remaining people can find jobs in other departments, the utility says. The union contends that the elimination of “800 direct jobs and 200 indirect jobs” will translate into the loss of tax revenue to the provincial government in about $14.7 million annually. No mention was made by the union of the 75-person centre in Montreal promised by Landis+Gyr. Paul said that the union will use every means possible to fight the deployment of smart meters and it has launched at public awareness campaign. 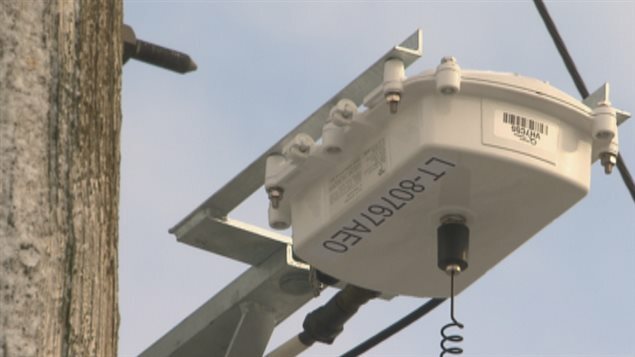 For its part, Hydro-Québec has no objections to the energy board holding public hearings on the meter deployment, spokeswoman Danielle Chabot said. The union can ask the board to hold oral hearings but “it will be up to the Régie to decide what procedure it will adopt,” Régie de l’énergie Secretary Véronique Dubois said. Recognized intervenors can present written positions to the board along with specific objections to or questions about Hydro-Québec’s position, she said. how can we opt out of the hydro meter program?